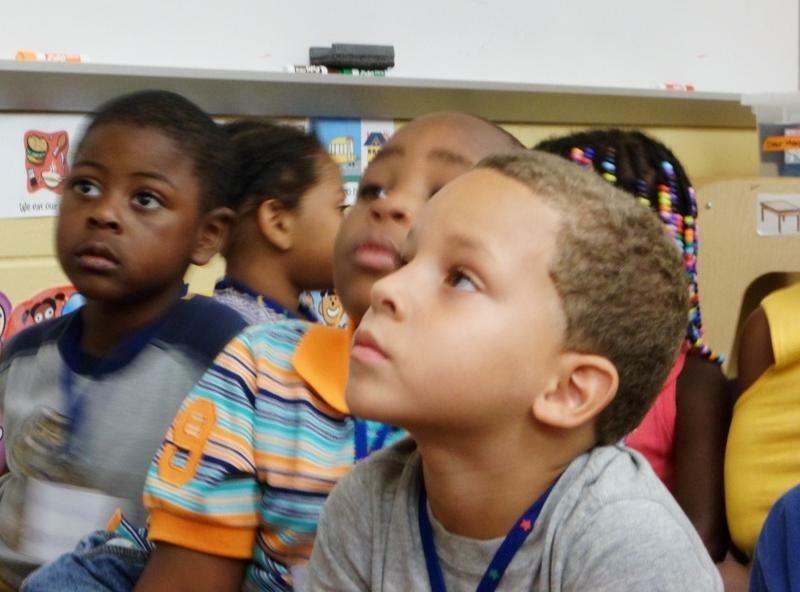 David Blair and his classmates listen to story time during a Grand Rapids Public Schools summer preschool class. To help fix the problem, Grand Rapids Public Schools has started offering preschool in the summer, to kids who are about to enter kindergarten. It's a last-ditch effort to give the kids an early start on their education. Click "play" to hear some of the sounds I heard on a recent visit to one of the summer preschool classes.